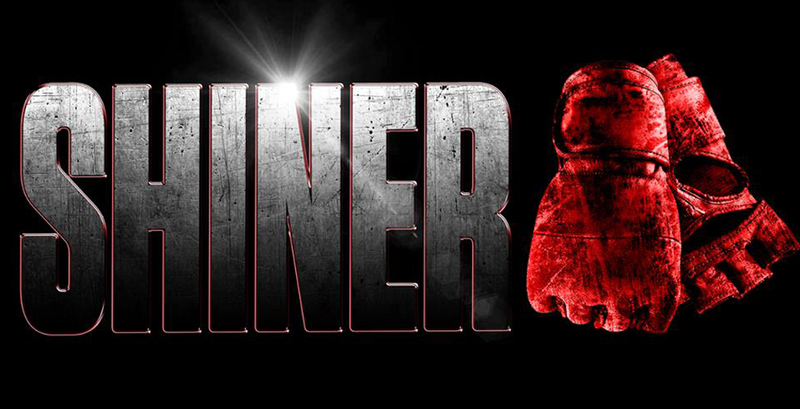 Shiner is a very intense and action-packed film starring Kevin Bernhardt (Hellraiser) who also wrote the film. Granted the film is about a man who sets out to fulfill his dream of becoming a world champion fighter. Kevin plays a down on his luck former MMA champion fighter Happy McBride who takes a young fighter under his wing named Matt (Seya Hug) while trying to reclaim his past glory. While Matt quickly fights his way to the top he catches the eye of Happy’s former manager Larry (Brian T. Finney). This, as you might expect, generates jealousy from Happy. If that didn’t cause complications, then when Matt begins a romantic relationship with Happy’s daughter Nikki (Staller), things do get heated. Happy had to give up fighting in order to raise his daughter after his wife committed suicide. The only thing that is keeping Happy from going insane is the love he has for his daughter and his desire of once again becoming a champion. However, his past is the main challenge that is making these goals very difficult to obtain. Happy is mostly a jerk throughout the film and Kevin plays Happy perfectly. Kevin provides depth to Happy and he is charismatic enough that you can’t help but love Happy. However, Happy gives the viewer every reason not to love him. The film doesn’t pull any punches portraying Happy as anything other than what he is, but at the same time the film makes you also see that Happy isn’t a bad guy. Supporting Kevin in the film is two young co-stars Seya Hug and Shannon Staller which both turn in strong performances. Seya is the son of K-1 kickboxing legend Andy Hug. Hug provides a good performance as a young and naive fighter from out of town. He shows a lot of potential for a young actor. Staller is also very natural in her role as Happy’s daughter. She plays off both Hug and Bernhardt nicely. This was a surprise film for me, but truly an enjoyable one. Kevin Bernhardt does an excellent job as Happy, but I was nicely surprised with the script. Therefore, I am giving Shiner a 4 ½ out of 5 stars.